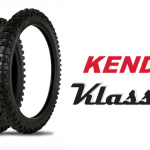 *Attention Suzuki DR-Z400 owners* – Looking to squeeze a little more power out of your bike, drop some weight and add more style? 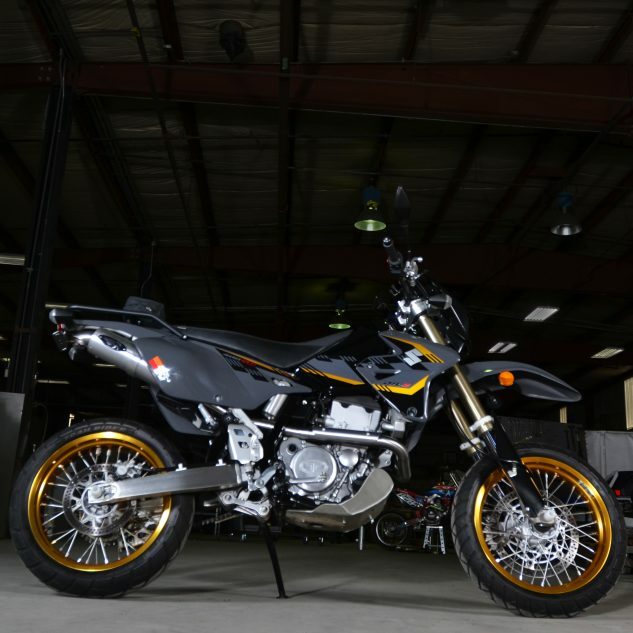 Check out the Barker’s Performance Suzuki DR-Z400 full exhaust system for up to +5hp gains or more! 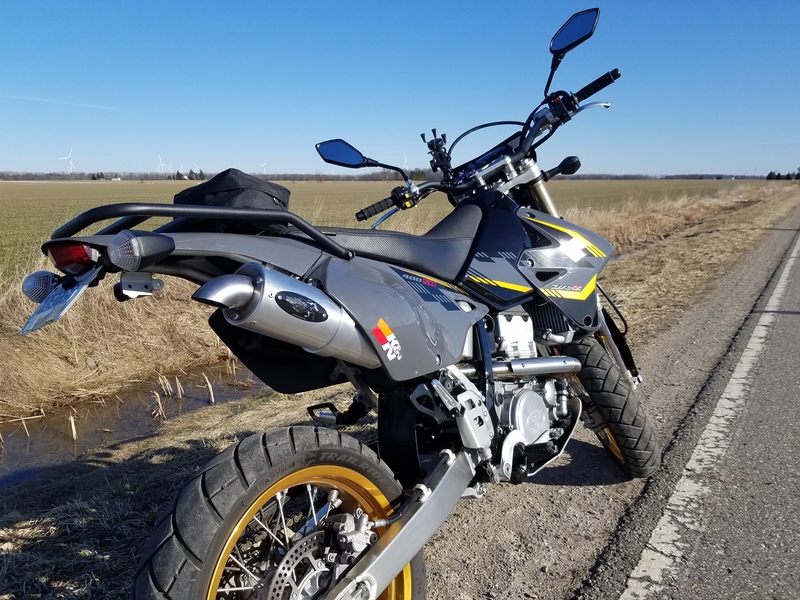 Bad Axe, MI – June 21, 2018 – Just in time for the summer season, Barker’s Performance has completed the development of their newest exhaust system for the Suzuki DR-Z 400 Enduro Street/Dirt motorcycle. 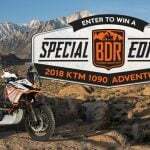 After much success with the Z400 motor on other machines, Barker’s was tapped to create a leading performance system for the DR-Z. Barker’s is proud to announce that following research and development, testing showed a very strong performance gain on this exhaust system throughout the entire power curve. A third party, LaBaron’s Powersports, completed the dyno testing for their new exhaust with a K&N air filter on an otherwise stock machine. After tuning (jetting settings included with your purchase) and increasing the air flow, the full exhaust system achieved a solid 5hp increase. The megaphone design on their pipe is such that Barker’s anticipates even further gains on larger built bikes. 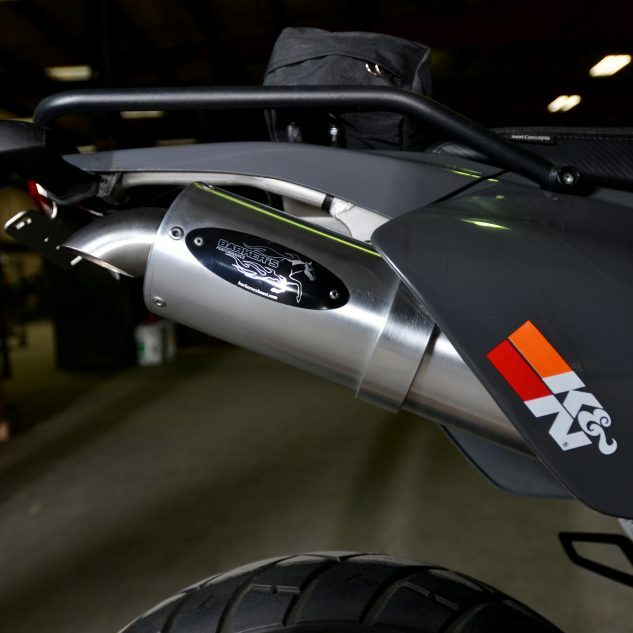 The Barker’s Performance DR-Z 400 Full Exhaust System includes a full exhaust system, a billet clamp to secure the exhaust to the bike’s frame, and the choice of a standard straight billet tip or a turn down tip. 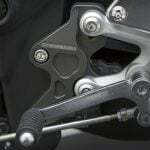 The exhaust system with the turn down tip does not require any modification to the bike, while the use of the standard billet tip will require an aftermarket turn turn signal. The system fits all DR-Z models (E, S, SM) from 1999 to current. As with all Barker’s Performance exhaust systems, the new Suzuki DR-Z400 full exhaust system is hand tig welded in Michigan. 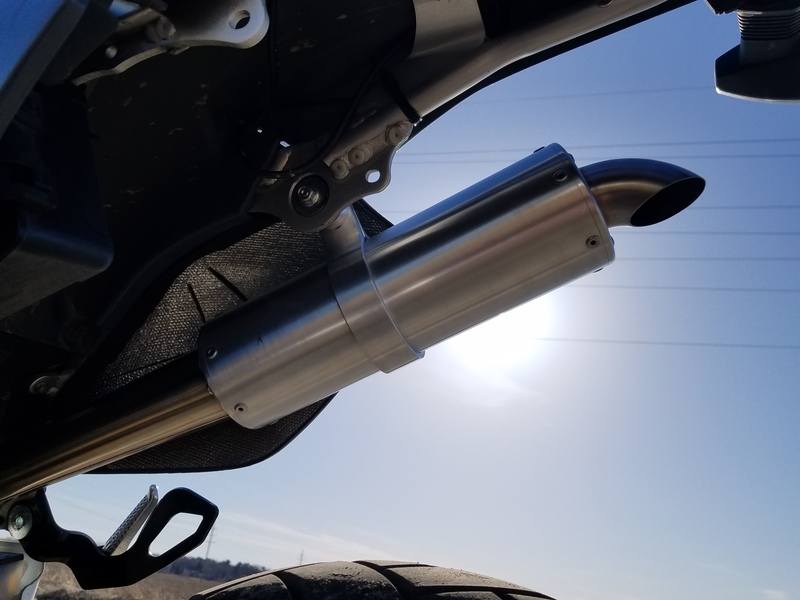 The exhaust features a sleek brushed aluminum can outfitted with the color Barker’s Performance tag of your choice; choose from black, blue, red, or yellow. The brand new Barker’s Performance exhaust for the Suzuki DR-Z 400 is available for immediate shipping from their website for $569. Alternatively, your local Barker’s Performance authorized dealer can order the pipe for you and assist in proper installation and tuning.